At mid-Frebruary, we shall also be sending a magazine with all the previews to 700 selected titles around the world. This English language publication for the press will be sent with a CD-Rom, containing all the HD photos and the texts in 5 languages. And while the presses are busy printing this magazine, you’ll receive the PDF version of it in your e-mail box: a global survey of the brand-new products with press material you can download with just one click of the mouse. All this in addition to the press release on the new trends, of course! 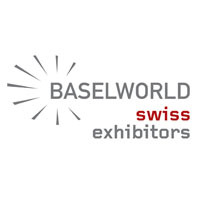 The press packs containing the Swiss Exhibitors’ Guide - the compendium of all the new products, plus a CD-Rom - will be distributed at the entrance to the BASELWORLD press conference on Wednesday 17 March, the press day. After the conference and for the duration of the Fair, you will be able to pick up this material at the Swiss Press Centre, which is located in the Business Centre, Hall 1.2, next door to the BASELWORLD Press Centre. Here you will also be able to order a USB key with a compilation of all the press kits received (128 brands in 2009) or, if you prefer, the printed versions of these press kits. It goes without saying that you will receive a press release a few days before the opening of the Fair, as well as a closing report on 25 March with the first review. If you do not intend to make the trip to Basle this year, you can always install yourself in front of the computer in the comfort of your own home and consult all the press kits received from the Swiss brands. We shall be putting all these press kits online at www.swisstime.ch after the Fair. Don’t forget that you will need to be accredited if you wish to access this material. You only have to apply once, remember, and it’s free! For HD photos, press kits and releases on 100% guaranteed Swiss products, access www.swisstime.ch, the benchmark press tool. If you have any questions, comments or particular requests, just contact us! We hope to see you at Baselworld and send you our best wishes for 2010.